Couture Dreams Enchantique Jute Window Curtain - Swatches may be available. Couture Dreams Enchantique Jute Window Curtains are what we like to call a French inspired Art Deco with a Modern Twist. Truly beautiful and unique these rustic chic jute curtains are each hand printed with a large decorative motif. These curtains panels can be combined with any type of home decor from modern to traditional and will bring style to any room. Curtains hang on a 4" rod pocket, which can either slide directly onto the pole or can hang from rings with clips. They are made from fine, premium quality 100% all natural jute fabric, which puts a fun and funky spin on traditional curtains. The Jute Natural window curtain is hand printed with a bark ink. This curtain panel will add that special touch to any room. 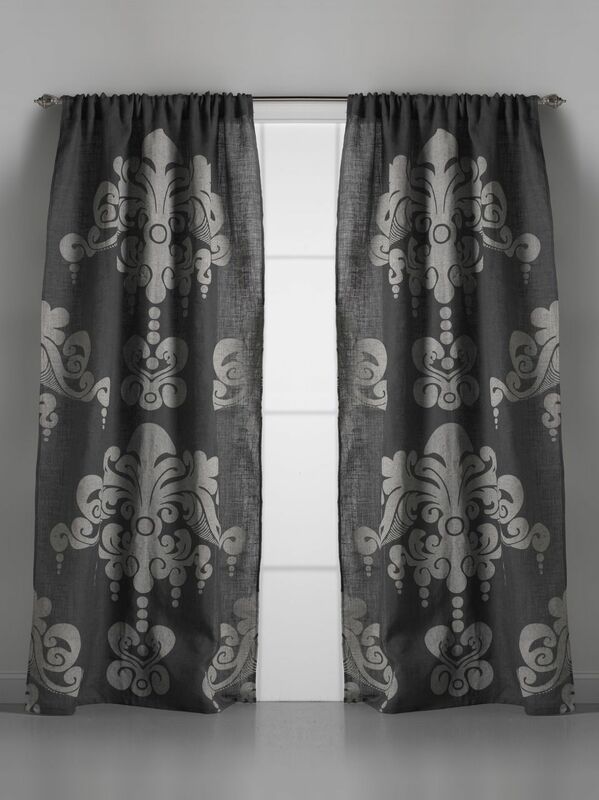 This Enchantique window curtain print is also available in Jute Ivory/Sand and Jute Slate Grey/Ivory. Couture Dreams uses only the finest natural jute available, they are sure to be a home favorite. The Jute Slate Gray window curtain is hand printed with pearlized ink. 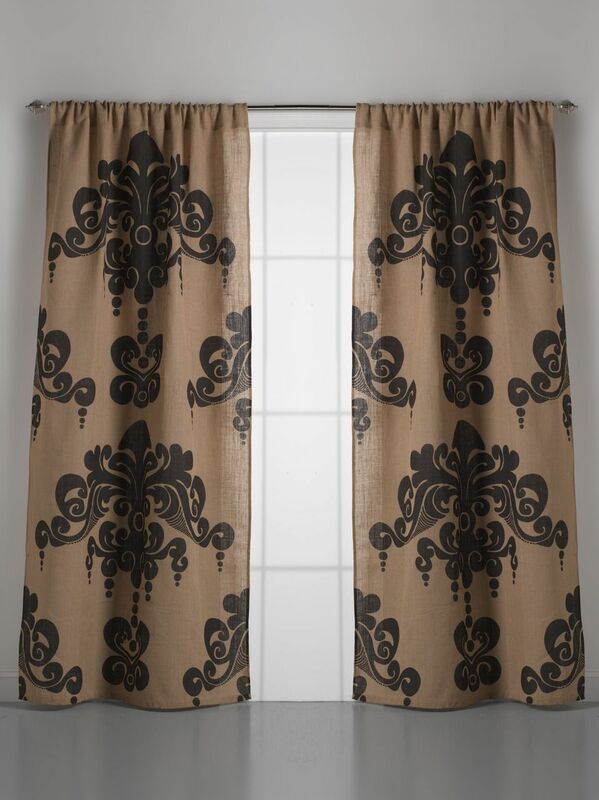 This curtain will shimmer and add that special touch to any room. 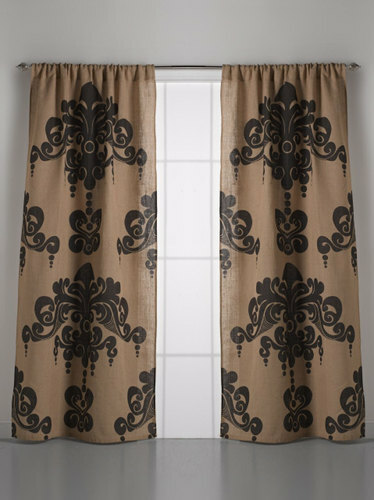 This Enchantique curtain is also available in Jute Ivory/Sand and Jute Natural/Bark. Couture Dreams uses only the finest natural jute available, they are sure to be a home favorite.